Shares of Enphase Energy, SunPower, and Transocean have a lot of people betting against them. Wall Street's typical thinking on stocks tends to be short-term in nature, though, and every once in a while, there are companies on this list that those with a long-term mind-set should consider. 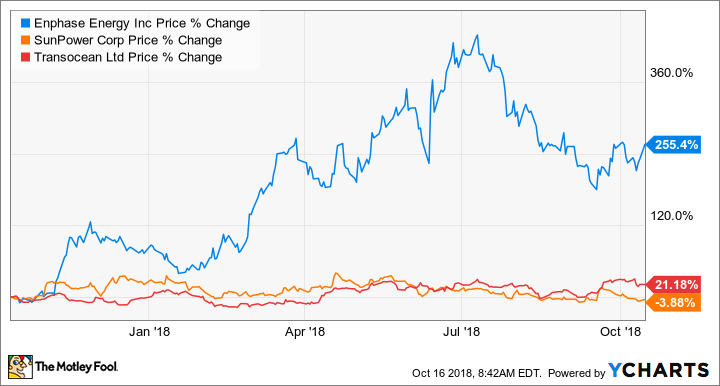 Three energy companies worth a closer look on this list of highly shorted companies are solar power component manufacturer Enphase Energy (NASDAQ:ENPH), solar power panel producer Sunpower (NASDAQ:SPWR), and offshore rig company Transocean (NYSE:RIG). Let's look at why Wall Street seems to be targeting these companies with their short positions and whether they are buys today.